Designs For Every Table & Chop Miter Saw! Introducing the Premier Fusion saw blade in both Thin and Full Kerf design. 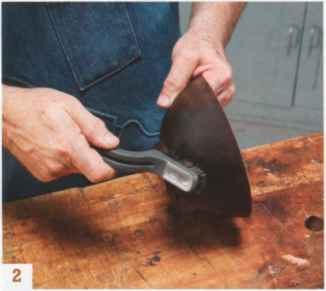 Now woodworkers have a superior general purpose blade for both the table and chop miter saw in the shop and for the lower horsepowered saw on the job site. The New Thin Kerf combines the advanced Premier Fusion features with a thinner kerf design to provide a flawless finish while reducing material waste, which makes it the ideal tig^. choice for lowered powered saws. Freud's patent-pending Premier Fusion Saw Blade is the most technologically advanced blade on the market with a radical new "Fusion" tooth design that combines a double side grind with a 30 degree Hi-ATB to produce a glass-smooth, chip-free top and bottom surface while ripping and crosscutting. The unique Fusion tooth design, combined with Freud-made TiCo™ Hi-Density Carbide, superior anti-vibration design and patented Perma-SHIELD® non-stick coating create the ultimate general purpose saw blade with flawless cutting performance. Choose from four blades in the Full Kerf Premier Fusion series - 8", 10". 12" and 14" or try the new Thin Kerf 10" Premier Fusion. Use a Premier Fusion blade once and you'll be convinced.